Purchasers will not be disappointed buying our range of product, as it adheres to industrial quality regulation systems. 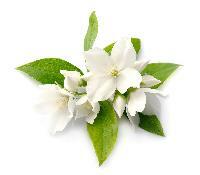 Our Fresh Jasmine Flowers are preferred for their freshness, vibrant colors and mesmerizing fragrance. 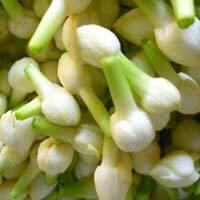 Bringing forth wide array of Jasmine Flower, we are amidst the celebrated Suppliers in this field. 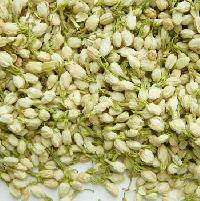 Jasmine is an attractive important commercial crop and fast growing business in India. Tamil Nadu is the leading producer of jasmine in the country. Jasmine growers belonging to small and marginal farmers category are facing many problems not only in cultivation but also in marketing their products. Asathal maha eventz is one of the leading exporters & importers of fresh jasmine flowers in india. A famed name, the company is entrusted with a task of making available high quality lot of Dried Jasmine Flowers. We are hailing from Tiruppur(India) and make sure to reach buyer's specific destination within the promised time frame. The dried jasmine flowers available at us are widely used in manufacturing herbal products that are made under the regulation of our professionals.